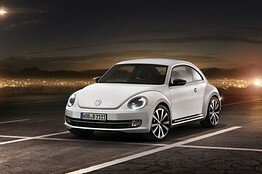 News just released from the Insurance Institute for Highway Safety awards Volkswagen with the most “Top Safety Picks” for 2011 vehicles. The Routan is the latest Volkswagen to earn the Insurance Institute for Highway Safety’s (IIHS) TOP SAFETY PICK rating for 2011, the highest possible from the non-profit safety research organization. This means that Volkswagen now has no fewer than nine TOP SAFETY PICKS, giving the brand leadership in the U.S. industry. The annual rating recognizes those vehicles that perform best in protecting passengers in the Institute’s front, side, and rear crash test evaluations, and the newly required roof-strength test evaluations. The Institute only awards TOP SAFETY PICK ratings to vehicles that are fitted with electronic stability control and head protection airbags. The other 2011 Volkswagen models to receive the IIHS TOP SAFETY PICK rating are: CC 2.0L TSI®, Jetta, Jetta SportWagen, Passat, Tiguan, Touareg, and four-door Golf and GTI models. For more information visit www.vw.com or media.vw.com. The all new 2012 Volkswagen Eos gets a fresh look with slimmer accessories and more subtle details to allow the view of the entire vehicle to take precedence on the road. The interior remains the same with upgraded versions displaying real walnut wood trim and lush leather upholstery. Intelligent key system will now be offered, as well as HD radio. The engine has no major changes which is good since the turbocharged engine gives drivers 200 horsepower. One of the novel and interesting features of the new Eos is the glass sunroof integrated within the power-folding hardtop mechanism. Overall the look of the Eos is a beauty and will be in showrooms by early 2012.